Samyuktha Hegde poses for the cameras during Kirrak Party success celebrations. Telugu movie Kirrak Party success celebrations held at Hyderabad. Celebs like Nikhil Siddharth, Samyuktha Hegde, Sharan Koppisetty, Anil Sunkara graced the event. Nikhil Siddharth poses for the cameras during Kirrak Party success celebrations. 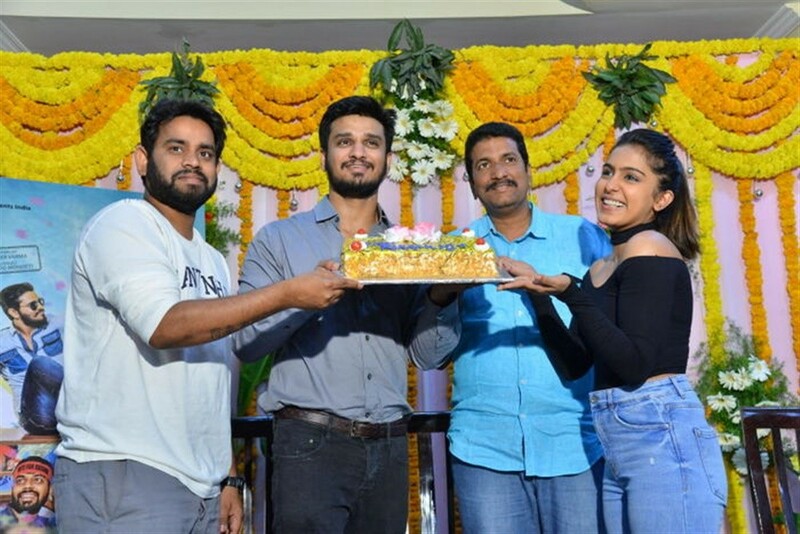 Nikhil Siddharth, Samyuktha Hegde, Sharan Koppisetty, Anil Sunkara spotted at Kirrak Party success celebrations.